CHICAGO (WLS) -- Chicago Police have suspended the officer who was allegedly found sleeping in this vehicle. The officer has been slapped with an unpaid five-day suspension. Chicago cop sleeping on the job? 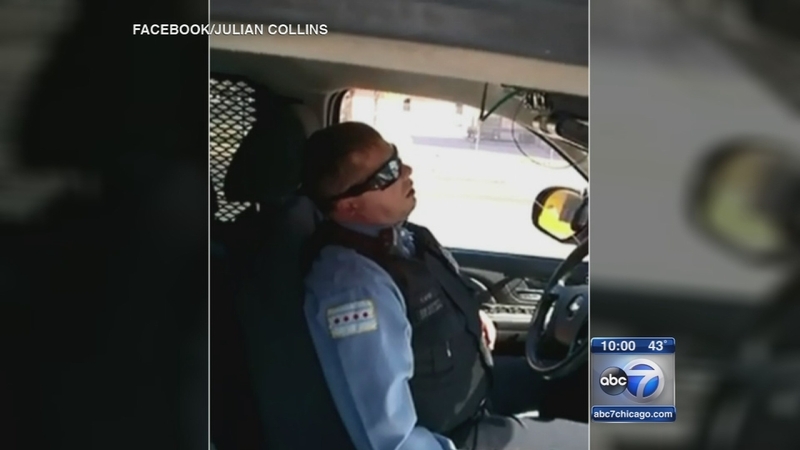 Chicago police are investigating a video posted online that allegedly shows an officer asleep in his vehicle on the city's South Side. A police spokesman says that the incident is unacceptable and not in keeping with the high expectations placed on our officers by this department and the residents of Chicago. A witness recorded a Chicago Police officer appearing to sleep inside his squad car on busy 63rd Street at Campbell. The video was posted on Facebook and went viral.